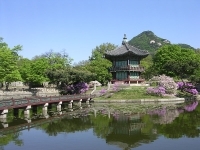 Seoul attractions include historic temples and palaces, with some natural and cultural highlights. 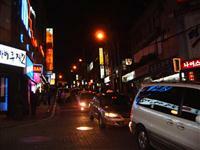 Preferred seasons for sightseeing in Seoul are spring and autumn with comfortable temperatures and blue skies. But in winter it's covered in snow and can be quite beautiful but cold. Heat and humidity in summer can be uncomfortable. Seoul is home to three UNESCO-listed sites, as well as numerous other cultural treasures and some fun entertainment hubs. The UNESCO World Heritage Sites are Changdeokgung Palace Complex, Jongmyo Shrine, and the Royal Tombs of the Joseon Dynasty. The Gyeongbokgung Palace, built in 1395, is home to the National Folk Museum, as well as other sites of interest, is a great Seoul attraction. The Namsangol Hanok Village is also a good stop, featuring traditional Korean homes from the Joseon Dynasty. The Bongeunsa, a Buddhist temple founded in 794 AD, is one of a number of temples that offer temple stay programmes for visitors, allowing foreigners to gain insight into the way of life and the faith of the resident monks. 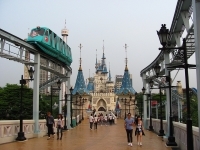 For a break from highbrow cultural sightseeing, visitors can ride the Namsan Cable Car to the summit of the mountain to see the maritime aquarium and botanical gardens, or visit Lotte World, the largest indoor theme park in the world and one of the most exciting Seoul attractions. There are lovely antique shops and art galleries to be browsed in the Insa-dong alleyways and other fun shopping districts, and the Galbi restaurants are a recreational must with their expertly cooked Korean ribs. The service is amazingly friendly and helpful in Seoul and there are support structures in place for confused tourists: cheerful operators at the 120 Dasan Center provide answers to any question you might have for free, 24-hours a day, in Korean, English, Chinese, Japanese, Vietnamese, and Mongolian. The number is 02 120.